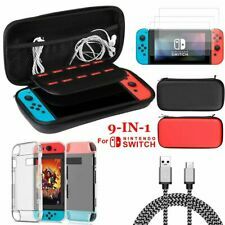 High quality hard zipped case with strap for the Nintendo switch in line with exact console specifications. Item Type: Hard Case Storage Bag For Nintendo Switch. Highest-quality Film and Specifically Designed to Fit your Nintendo Switch. High quality hard zipped case with strap for the Nintendo switch in line with exact console specifications. Applicable: For Nintend Switch Console. Type: Hard Protective Bag. Function: Storage, Shockproof, Waterproof. Note: Due to the difference between different monitors, the picture may not reflect the actual color of the item. Clear wrap-around sleeve so you can put the paper on the outside of the case. Color:Translucent Blue. 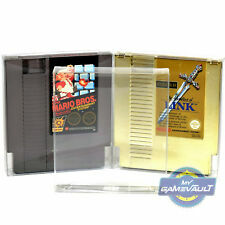 Thesepremium box protectors for Nintendo NES & SNES mini classic consoles are thestrongest worldwide, professionally manufactured using highest quality0.5mm material. It has taken a lot of trial & error to find the perfect product solutions, but it is now safe to say that our products are by far THE BEST PROTECTION FOR YOUR COLLECTION & my own of course. 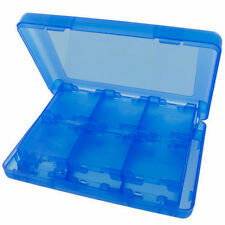 Perfect for replacing your broken down, scratched up, and tornNintendo DS / Nintendo 3DS cases. Clear wrap-around sleeve so you can put the paper on the outside of the case. Note: Due to the difference between different monitors, the picture may not reflect the actual color of the item. Provides maximum protection while allowing easy access to all ports, buttons, and features of your Nintendo Switch. Model: Nintendo Switch. 1 x Host Protection Shell. Platform: Nintendo Switch. Ultra Slim, Light, Durable, Anti-Shock & Falling & Touch Test and Crystal Clear Transparency. Compatible with: Nintendo Switch. 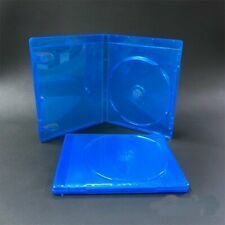 Perfect for replacing your broken down, scratched up, and tornNintendo Switch cases. Clear wrap-around sleeve so you can put the paper on the outside of the case. Note: Due to the difference between different monitors, the picture may not reflect the actual color of the item. Soft, but resistant outer shell for easy traveling. All-in-one zip and go Travel Pouch. Rugged zipper design and external hook for simple access. 100% Genuine Sony Product. Textured neoprene inner liner for maximum protection. 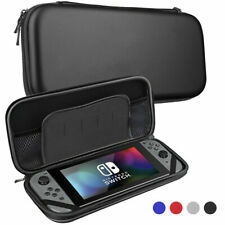 The new hard shell for Nintendo case is made from high quality Material your Nintendo Switch, with the shock absorbing soft velvet inner that avoid your device from scratches. Soft lined backing to add another layer of protection for the Switch console. Suitable for GBA SP. 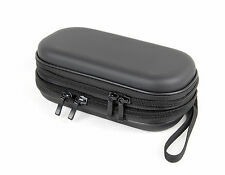 1 x Hard Case for GBA SP. Pocket that can put all kinds of accessories inside such as data transfer cable, headphone. Once enclosed inside the Protective box, they will protect from Dust, Dirt, Scratches and General Shelf Wear. Manufactured from High Quality 0.4mm PET Plastic. Perfect to Display & Protect your collection. Once enclosed inside the Protective box, they will protect from Dust, Dirt, Scratches and General Shelf Wear. Manufactured from High Quality 0.4mm PET Plastic. Crystal Clear & Transparent. Perfect to Display & Protect your collection. High quality professional style textured surface. Simple application takes only seconds. Ideal for competitive players who need a little extra High. Simple to insert & remove. - Cutout to allow headphones to be used whilst in the case. View Our Categories. Protection with the host storage bag of PraveSt4 system. Adjustable shoulder strap. 1 Portable Bag (Excluding Other Accessories). Maximum protection of full mats. Color: black. Orders placed on weekend will. Material: EVA. 1 X Eva Case. Note: Compatible with 3 DS XL LL&New Nintendo 3 DS XL. Hard case protects your device from accidents during daily usage. Accessory ONLY, device not included. 3.Zip it up and protect your device from dust and scratches. Ergonomics Design: Unlike other Nintendo Switch Cases, you can dock the switch with this clear back protector on it. 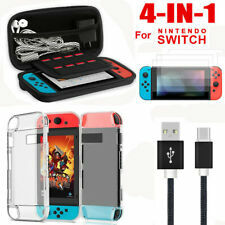 Screen Protection: 9H Tempered glass screen protector to resist hardest scratches specifically designed for Nintendo Switch. MPN Does not apply Brand Unbranded UPC 4894462363454 EAN 4894462363454 ISBN 4894462363454. Analog Joysticks only, other accessories demo in the picture are not included! 1 Pair x Analog Joysticks. Quantity: 1 Set. Color: Black. Due to the difference between different monitors, the picture may not reflect the actual color of the item. Soft neoprene divider in middle, protect screen from scratch from accessories on the top. Protect console from scratch, shock and squeeze. EVA hard protect case custom designed for Nintendo switch. Each case is made of clear polypropene plastic and has a front clear film sleeve to accept the artwork. - Clear plastic design closely matches the original. Add to Favourites. Nintendo: 3DS, DS Lite. 1 x Lite Eva Case. Lite Eva Case. Compatible with: Nintendo DS Lite. NOT compatible with: Nintendo DS/ DSi/ DSi LL/ XL. The manufacturer does not necessarily endorse use of these products. Easy to storage and use. Suitable for Xbox One Slim Console. Protects your console against dust, ultraviolet, shock, liquids, dirt and pet hair, etc. Smooth inside help protect the glossy surface of your console. Not suitable for any other Nintendo models. Provides stylish, splash proof protection for your device. 1 x Nintendo Switch Bag Case Shoulder Strip. Protect your Nintendo Switch against scratches and shock with this carry bag Case. 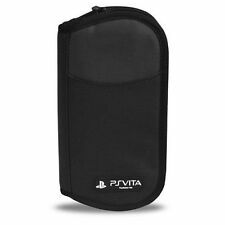 Specifications: Color: Black Material: Neoprene Length: 38.5cm Width: 28.5cm Height: 5.7cm Features: - Protect the glossy surface of your for PS4 console perfectly. 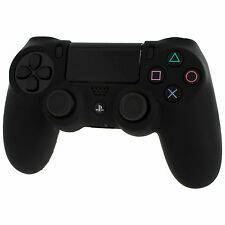 - Protect your Playstation 4 from dust, ultraviolet, shock, liquids (Splashing), dirt, pet hair. - Can be easily and completely removed and cleaning. Feature: Switch tail shake cap Product material: silicone Product features: protect the game machine shake, enhance the game feel Applicable: Switch NSJoycon handle Product list: yellow * 2 brown * 2 Brand Unbranded Type Cover MPN Does Not Apply Platform for Nintendo Switch Joy-Con Material Silicone Country/Region of Manufacture China EAN Does not apply. For Nintendo 2DS Hard Carry Case Cover Bag Pouch Skin Sleeve Strap 4 Colors. ●Support for Nintend o 2DS,Not suitable for any other Nintendo models. Support for Nintend o 2DS,Not suitable for any other Nintendo models. 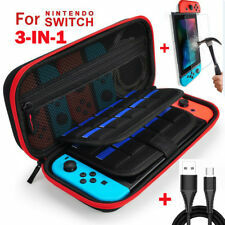 High quality hard zipped case with strap for the Nintendo switch in line with exact console specifications. Applicable: For Nintend Switch Console. Storage Bag Charging Cable Screen Protector Shell Case. 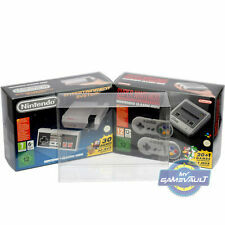 Compatible with New 3DS (inc XL), 3DS (inc XL), DSi (inc XL), 2DS, DS Lite & DS consoles. - Light weight durable case - Made from high quality plastic. View Our Categories. Protection with the host storage bag of PraveSt4 system. Adjustable shoulder strap. 1 Portable Bag (Excluding Other Accessories). Maximum protection of full mats. Orders placed on weekend will. for it free. Replace your broken or lost battery back cover. Nintendo Wii. Nintendo 3DS XL LL. Perfectly compatible with Switch. Transparent, simple design enhances its most natural beauty. Item Type: Hard Case For Nintendo Switch. Ultra thin case that won't add unnecessary size or weight. Color: Transparent Clear. We'd like to settle any problem in a friendly manner. We want to make sure you are happy with our item. Goods without RMA number will NOT be accepted. 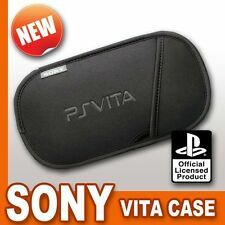 ■ Perfect to replace those lost or broken cases. Not suitable for any other Nintendo models including 3DS 2015 & 2DS 2013-2016 model. 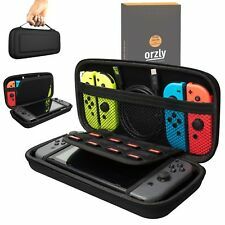 iGadgitz Travel case for your Nintendo. Provides stylish, splash proof protection for your device. Scratch preventative inner lining. Choose your favourite from our range of 11 fashionable options, or the one that best matches your Nintendo console. Available in black, blue, red, pink, light blue & black, pink & black, red & black, yellow & black, orange & black, turquoise & black and royal blue & black. Material: Plastic. Product size: 14.5 10 2.5cm. 6 individual cases included. - Made from high quality plastic. - Light weight durable cases. Add to Favourites. Built in foldable stand giving a viewing angle for playing and watching in landscape mode. iGadgitz custom made 'Portfolio' PU leather case for the Nintendo Switch. Thin portfolio design gives your console executive look with little added bulk. Nintendo DS Lite. Replace your broken or lost battery back cover. Color: Light Blue. Nintendo Wii. Nintendo 3DS XL LL. Nintendo DS Lite. Replace your broken or lost battery back cover. Nintendo Wii. Nintendo 3DS XL LL. Silicone cap 6. -- Made of ABS silicone for extended durability. Detail Image. It has taken a lot of trial & error to find the perfect product solutions, but it is now safe to say that our products are by far THE BEST PROTECTION FOR YOUR COLLECTION & my own of course. All of our cases are strong & sturdy products. NEW Xbox One Slim Gaming Console Dust Cover "New Custom"